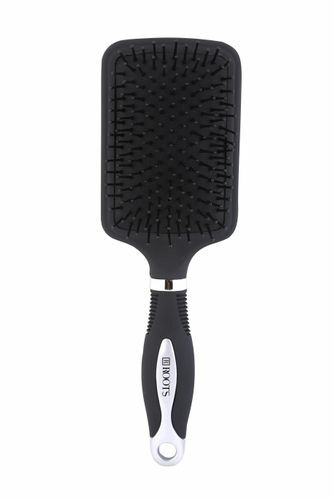 Roots Brush 9886 is a Paddle Brush Best suited for medium to long hair Detangle, style , groom and tame fly-aways with Roots paddle brush.The ball tipped nylon pins of the brush are gentle on the scalp and glide through the hair with ease to offer snag free styling With ergonomically designed handle for added comfort. Explore the entire range of Hair Brushes available on Nykaa. Shop more Roots products here.You can browse through the complete world of Roots Hair Brushes .